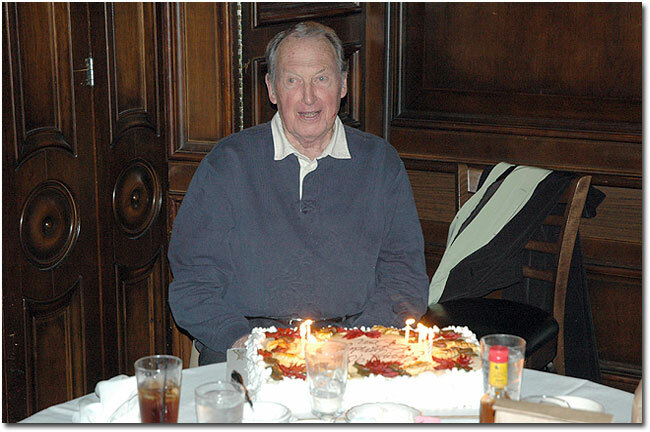 Yesterday my grandfather Donald Smith celebrated his 90th birthday at the Lexington restaurant in St. Paul with most of our immediate family. It was great visiting with everyone and the food and service were superb. I had a sirloin steak, while Colleen had the walleye almondine, which she said was one of the best she’s ever had. My uncle gave a speech talking about his dad and it’s really amazing all of the things he’s been in his life: husband, father, citizen, patriot, bomber pilot, prisoner of war, grandfather, bank president, board member, St. Paul Winter Carnival leader, volunteer, great-grandfather, caregiver and retiree. A week ago we packed up the family in the car and headed north to Duluth to visit the water park at the Edgewater hotel. It was just a quick overnight trip on a school night, so the place wasn’t very busy. 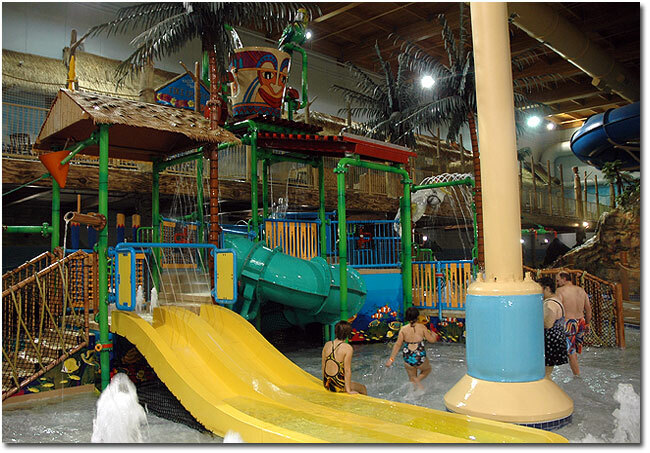 That was a good thing, since it’s smaller than the Mall of America water park (or any of the Wisconsin Dells spots). Still, it was a very nice place and the kids had a great time. We stopped at Tobies on the way up and had dinner Sunday night at the Duluth branch of Hell’s Kitchen. Nice food, cool atmosphere and great service, but a little pricey. On Monday, we visited the original Grandma’s in Canal Park for lunch before heading back home. The Godfather sandwich there is still one of my all-time favorites. I know I’m a little late with this post, but some of these new Apple toys just began shipping this week, so I guess it’s not too late to dash out a few comments. On October 20, Apple updated several product lines, including the iMac, the Mac mini and the entry-level MacBook laptop. The new multi-touch Magic Mouse was also introduced. A maxed out 27-inch iMac (2.8GHz quad i7 processor, 16GB RAM and 2TB hard drive) costs a cool $3,849. Although that is still much less than a similarly-equiped Mac Pro tower (which has an older processor and no monitor). The Snow Leopard Server version of the Mac mini was a total surprise. I’d consider replacing the mini this site runs on with one of those eventually. The internal RAID option is nice. Don’t have much to say about the MacBook – wouldn’t really want one. Same for the Magic Mouse, although I’ve heard some people say it’s nicer than a trackball. I still have an old Kensington Turbo Mouse trackball that I love, so I’m curious to test out that statement. Nice products, but nothing I feel the urge to run out and buy right away. 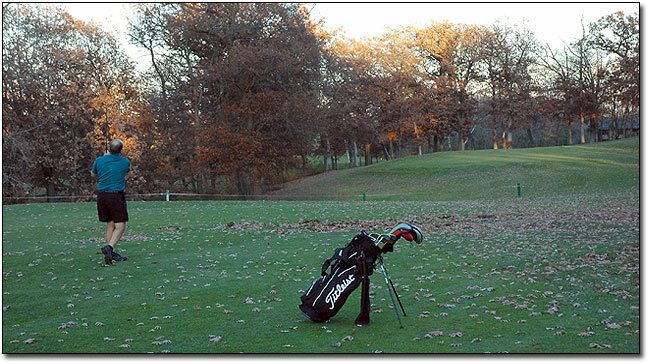 The good weather streak in Minnesota continues, which allowed my friend Brad and I to get in one more round of golf for 2009. We had a 12:42 tee time at Valleywood in Apple Valley and barely finished 18 holes before the early sunset. I was a little rusty after not playing for a few weeks, but still shot an 88 from the MGA tees. The weather this week still looks good (upper 50s and sunny), but I think I’m probably done for the year. Time to get the skis ready! 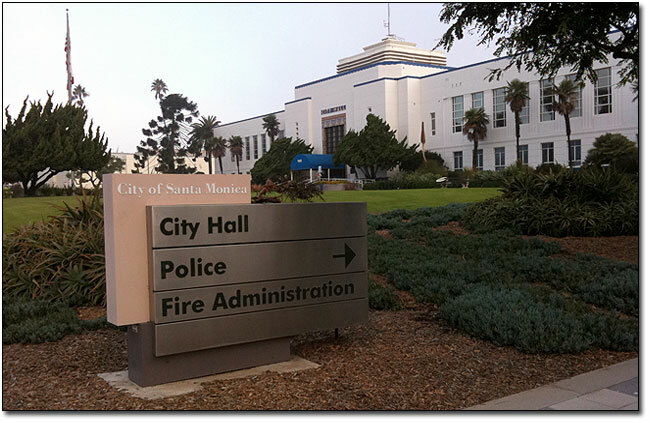 This week I had the chance to travel to California again – this time for meetings in Santa Monica. I flew the “new Delta” both ways – out in Delta equipment and back in an old NWA plane. LAX terminal five was actually very efficient and the air travel part of the trip was surprisingly stress-free for a change. The weather was, of course, perfect out there – sunny and near 80 both days. I stayed at a quaint little motel on Main called the Sea Shore Motel. It was an easy walk to the beach and about a mile from the pier. I had good food all trip. For dinner, I ate at the World Cafe, which was a block down Main from my motel. The sirloin and au gratin potatoes were excellent and I couldn’t pass up “David’s Housemade Butterscotch Pudding” for dessert. For breakfast the next day, I had the jerk chicken omelet at Swingers Diner Santa Monica, followed by lunch at Fritto Misto. Turns out this is the same Fritto Misto as the location in Hermosa Beach that I’ve been to several times. The spaghetti carbonara was to die for! I planned to walk out on the pier, but ended up walking along the beach south of the pier and looping back to the motel early. I wasn’t that familiar with the area and the lighting at night wasn’t the greatest – I’ll have to explore more during the day next time. I was a little worried about the weather for this year’s Monster Dash half marathon in Minneapolis – it was near blizzard conditions the night before – but it turned out to be a decent day for a race. Temperatures were in the upper 30s at the start, with winds in the 14-17 mph range. The sun made an appearance and a lot of the course was sheltered from the wind. 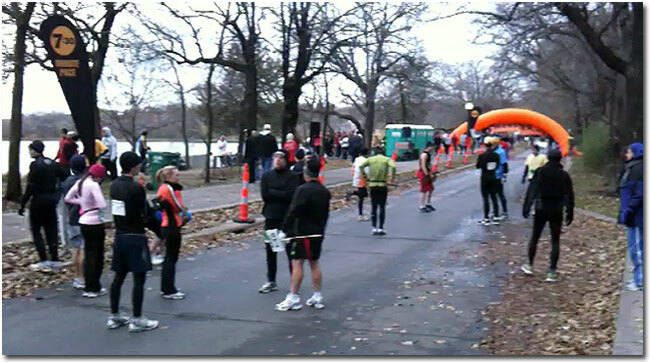 The half marathon course was changed for 2009, starting on the north side of Lake Harriet and running the Lake Calhoun loop first, before following the west side of Harriet and the six or so miles out and back along Minnehaha Creek. The last mile was on the east side of Harriet, finishing right where we started. Team Ortho provided pacers that were spread out at many intervals and I decided to sit between the 1:40 (7:38 pace) and 1:45 (8:01) runners, hoping to keep up with the 1:40 group. I ended up passing the 1:40 pacer after a few miles and stayed in front of him the whole race. He caught up to me at mile 12, but I had a little energy left and finished with a new PR time of 1:39:15 (7:35 pace). There were 2,644 finishers (1,536 women, 1,108 men) and the average time was 2:06:29. The race won by Joseph Radosevich in 1:14:15 (5:41). The women’s champion was Nancy Buselmeier, who finished in 1:27:28 (6:41). I actually placed 178th overall (17th in my division) and qualified for corral 1 at next year’s TCM. This was also my first half marathon run at a Boston Qualifying pace, so I’m trying to decide what to do next to meet that goal. Things to Do, #32: Watch the lights turn on over Victoria Harbour. Check.